Delicious food, a wide drink selection, and a cozy atmosphere are all great reasons to keep coming back to this neighborhood pub. Far be it from us to tell you what’s an authentic Irish pub. We’ve never been to Ireland, and are aware that many pubs that claim “authenticity” are chains. Still, family-owned pubs can be found, and Newton is fortunate to have several worthy options. Nothing against O’Hara’s and its second location, Paddy’s, but of late we've been drawn to the more idiosyncratic Dunn-Gaherin’s. 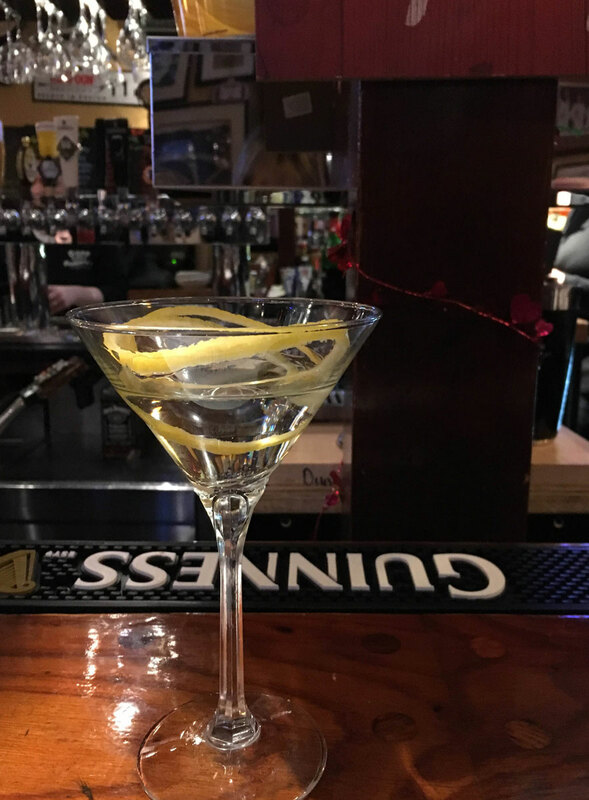 Tucked into a corner of Newton Upper Falls, with a bar in front and tables and booths in the back, Dunn-Gaherin’s is packed most nights with a mix of families, singles, and everyone in between. You’ll find high school coaches sipping beers as they scan placemats heralding Newton North’s basketball victory over rival Brookline, alongside twenty-something girlfriends comparing notes on work and boyfriends over chicken wraps and wine. On one recent visit, we are greeted by Melissa, our super friendly bartender, who follows up on the website’s invitation to “Come on in, we want to know your name.” This place is as local as it can get, as warm and friendly as any pub (Irish or otherwise) you can imagine. If there’s a contest for best Cheers incarnation, Dunn-Gaherin’s is right up there. We tend to judge bars on how they make martinis ($10). On that scale, Dunn-Gaherin’s rates AAA. When we first visited, our bartender not only asked whether we preferred shaken or stirred, but also provided the “dirty ice” without our request. And “very dry” was delivered as requested. For those who prefer other libations, a variety of signature cocktails are offered, including Blueberry Lemonade (Stoli Blueberi, Leinenkugal lemon shandy, fresh blueberries, $10) and Spiked Arnold Palmer (Firefly sweet tea vodka, pink lemonade, $9). Beer offerings, as expected, are extensive, including 16 on tap, eight craft beers, eight imports, 11 standard brands, a seasonal offering, and, of course, Guinness in five variations, plus Magners Irish Cider. 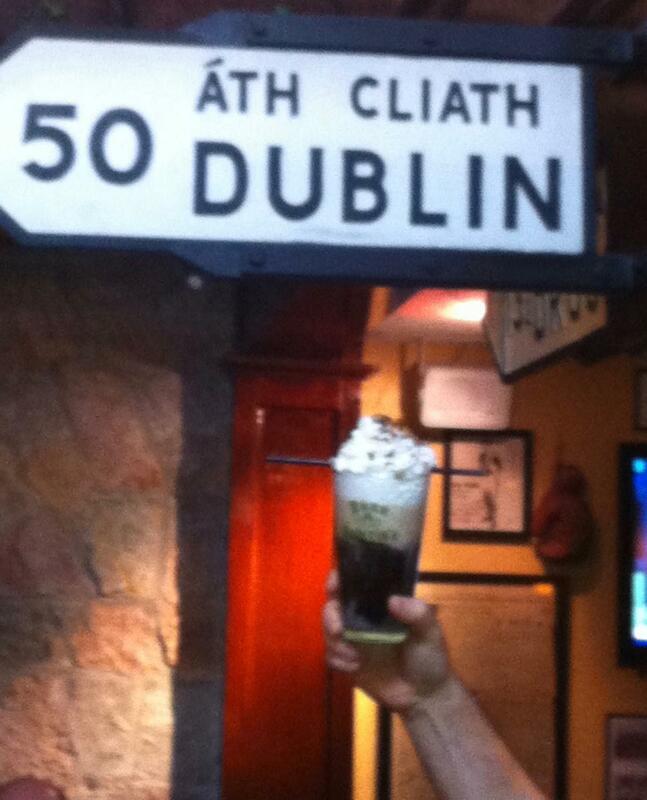 Irish pubs are not where we expect to find gourmet delights; but that doesn't mean settling for mediocrity. Dunn-Gaherin’s menu is familiar, extensive enough to satisfy diverse tastes, and consistently delicious. Take the burgers. Where many restaurants are amping up the price of this staple or countering the upscale fast-food trend with thin double patties, Dunn-Gaherin’s has kept its price reasonable ($10-$13) and its choices intriguing. Of eight specialty burgers on the menu, we were wowed by the New Irishman (carmelized onions, imported Irish Porter Cheddar) and the Santa Fe (melted Colby-Jack cheese, bacon, sliced jalapenos, homemade guacamole), both $12. In each case, the burgers were cooked to order, well seasoned and substantial, with the toppings neither skimpy nor overwhelming. Among the single side options, five are included and seven more are available for an additional $.75-$2.00. Other reliable standards that we sampled include crispy Fish & Chips ($18) and the hugely popular Tina’s Sweet Corn Chili ($5 cup, $8 bowl), a savory mix of traditional beef chili plus corn, topped with melted cheese and studded with taco chips — the perfect meal for a cold winter night. Most people know Newton Upper Falls only from the traffic and strip malls of Needham Street. Dunn-Gaherin’s is more reflective of the Upper Falls neighborhood, and, over the past quarter-century, has become part of its center. The restaurant is known for its community-mindedness, which is reflected in the local news found on its placemats and wall decor. The entire vibe is easygoing, reflecting a DIY hominess far removed from the cookie-cutter décor of more manicured pubs. The Christmas holiday decorations, to cite one example, felt like family treasures pulled annually from the attic, and the Valentine’s display was equally heartfelt. We can’t wait to check out the St. Patrick’s Day scene. Are the Best Soup Dumplings in Chinatown?